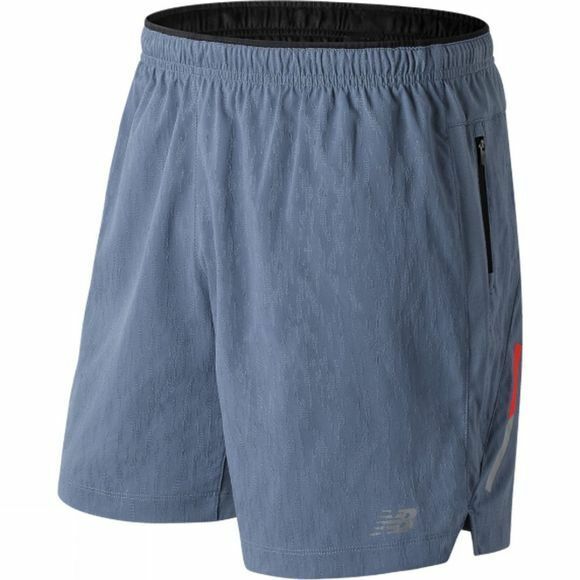 The Mens New Balance Jacquard 7in Short has a new fit with more modern, streamlined design details. A moisture-wicking fabric joins up with breathable mesh side panels and a comfort brief for support. 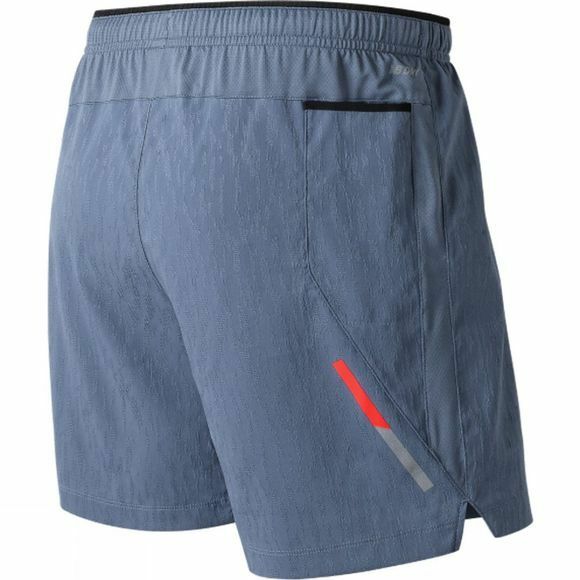 Other features include a zip pocket and drop-in waist pocket plus reflective accents.